Cheap flights to Australia! 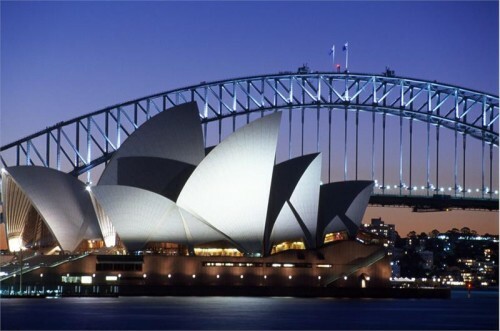 Sydney for just €635! 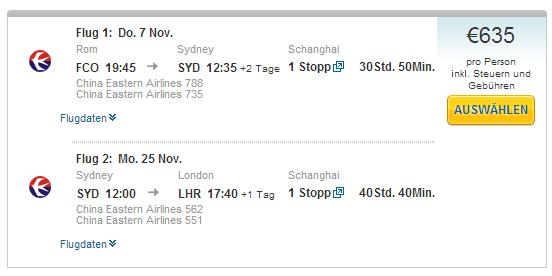 China Eastern Airlines now offer amazing prices on flights to Australia! You can book multicity tickets Rome – Sydney – London for only €635! This price is at least €400 cheaper than standard fares for this destination. You will take off from Rome Fiumicino airport and return to London Heathrow. Travel dates are from September 2013 till March 2014, for calendar of available dates check here. « WOW! Prague-New York only for €343!